Session 11 of the Citizen’s Police Academy (CPA) is set to begin Monday, January 7, 2019, at 6pm. Chief Grant Gillespie and officers from the Waverly Police Department will conduct the program. Classes are approximately three hours in length and are held every Monday night through March 11. Topics covered in the course include an overview of the law enforcement profession, criminal law, drug enforcement, patrol, firearms, DUI, defensive tactics, crime investigations, emergency driving, and other police related topics. “Basically, it’s an extremely condensed version of the real police academy. Each night’s topic is the same as a week’s topic in the police academy”, Gillespie said. The class is very “hands on” and cadets will be allowed to drive police cars, handle department weapons, write police reports, and ride with patrol officers on their shifts. According to Chief Gillespie, “This class gives you a behind the scenes look at what we do and why we do it. It's a great way to understand how your local police department works." In addition, cadets will learn about the Public Safety concept in which officers are also trained as firefighters. "The public safety concept is unique and cadets will have an opportunity to learn how this benefits our community," said Gillespie. The CPA began in 2002 and has over 150 alumni from the 10 prior sessions. At the end of Session 10, a reunion night was held for the CPA Alumni. "Many of them have become great friends and supporters of us and our department. We have found that even though cadets come to learn from us, we often walk away with a better sense of the community we serve" said Chief Gillespie. The CPA accepts applications from anyone at least 18 years old and living in Humphreys County. Preference is given to citizens who live or work in Waverly. Individuals of all ages are encouraged to apply. The class is not physically demanding and accommodations will be made for anyone with health challenges. Class size is limited to no more than sixteen cadets. For more information contact Chief Grant Gillespie at 931-296-4300. 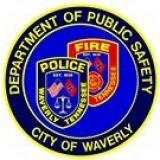 Applications can be picked up at the Waverly Police Department or downloaded from the PD website at www.waverlypublicsafety.com. Applications will be accepted through January 1. Download the CPA application in pdf format here.